Chinese officials have defended their government for working with corrupt African governments saying that China did not have a choice as it was not responsible for selecting the governments. Former Chinese envoys blamed Africans for voting for corrupt governments leaving them with no choice but to work with the elected government. "An African friend told me, our government is extremely corrupt. How come you're still involved with them? Our government has asked the Chinese government to build a bridge and a hospital, but the Chinese government shouldn't help them". "I told him – you voted for this government. It's the only government we can deal with. But the bridge and the hospital are not built for the president or officials but are for the common people. So I think this is another perspective that can be considered when looking at this issue". China's engagement in Africa is focused on its people and we do not give our money to corrupt governments or officials. 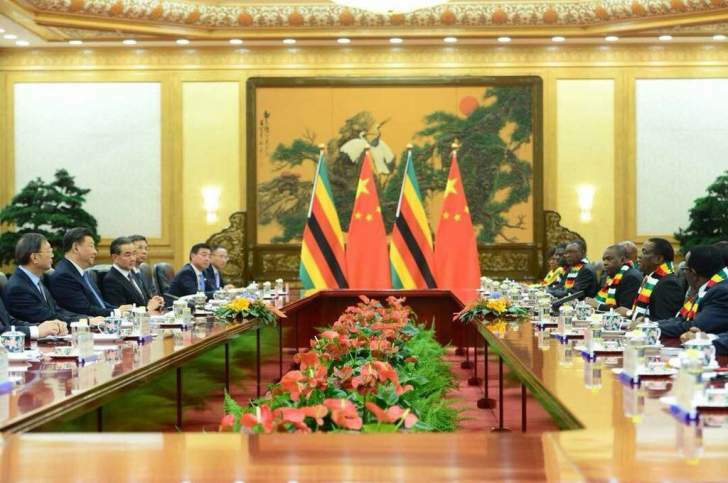 China has been a major friend of Zimbabwe for the past years following the sanctions that were imposed by the western countries.